To refresh and keep your property’s external areas clean you can use our reliable jet washing services. They are conducted with the help of powerful and effective machines and detergents. Our employees are ready to carry out excellent washing of tarmac, tiled, natural stone, wooden and metal surfaces. Whether your fence, patio, decking, walls or swimming pool need cleaning, we have the proper equipment and tools for washing it. Take advantage of the jet washing provided by our agency in Chiswick W4 and you will be pleased with the final result. Our staff utilize powerful and modern machines for pressure washing which remove stubborn stains, paint, mould, moss, algae and contaminants. You can rely on the cleaning technicians who work in our agency to ensure the presentable and flawless state of your property’s outdoor areas. 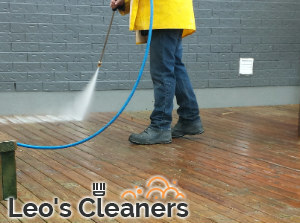 They can restore the clean condition of your dirty pavements, patios, driveways, staircases and deckings. 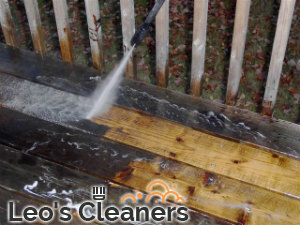 Reserve the jet washing services which we provide in and near W4 Chiswick at affordable prices. You will receive excellent work which will improve the appearance of your property. Our staff can clean horizontal surfaces as well as vertical such like walls and fences. You can use our qualitative jet washing whenever you need help with the upkeep of your property’s front and nearby areas. Whether this is your hotel, pub, restaurant, house or flat, our staff can cope with the work in a speedy and effective manner. We utilize powerful pressure washers which work with cleaning solution and water removing tyre marks, moss, weeds, mould, graffiti, paint and more. Get in touch with us to schedule the jet washing we offer in W4 London and your estate’s external areas will be in perfect condition. Use our services more frequently for long-lasting results.